A man in west China's Xinjiang Uygur autonomous region died over the weekend from a 3-day gaming binge. The unidentified man was apparently frequenting the Happy Sunshine Animation Game arcade for the last three days of his life playing various video games. It appears that as he was entering the arcade on Friday, he just dropped dead at the door. 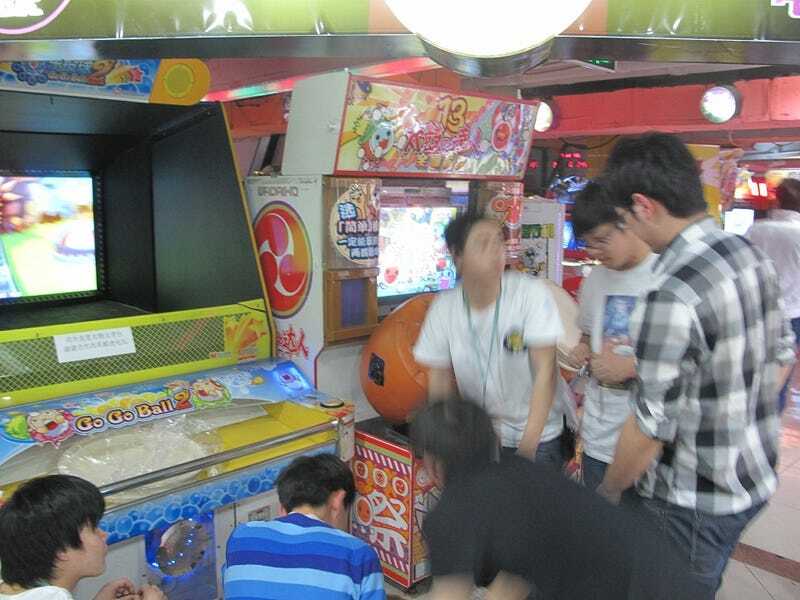 This incident of course isn't the first time that Chinese gamers have died while on a gaming marathon, but this actually maybe the first time that they did so without being in an internet cafe. Police are currently unsure of what the exact causes of death are but the owner of the arcade who refused to provide his name said that the man doesn't seem to have eaten very well and was seen leaving and entering the arcade a lot. Local reporters however provide a different take on this story. Local reporters said that through a phone call with another manager of the arcade that the man was only inside to escape the rain and had died because he fell on his way outside. "The deceased showed signs of extreme fatigue, his lower limbs were swollen," said local emts at the scene. "That and the recent hot temperature could have lead to sudden death, we also understand that he isn't a local".